Once viewed as strictly utilitarian, scarves have been rightfully elevated to the status of everyday accessory due to their statement-making powers. 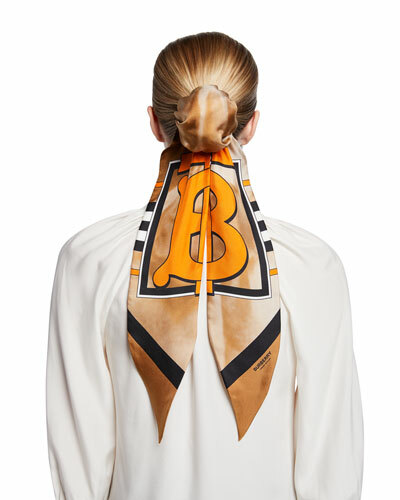 Burberry can take credit for this fashion promotion, thanks to its beautiful selection of scarves that turn an ordinary swath of fabric into a veritable work of art. 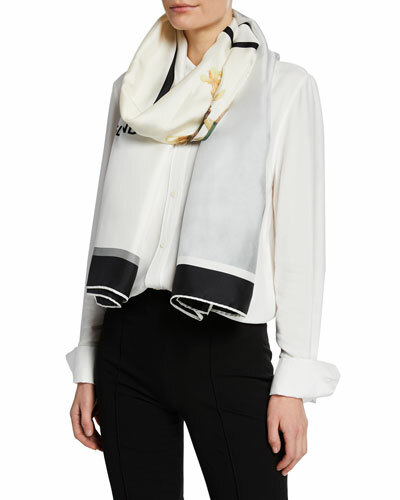 Options from this brand abound: Burberry silk scarves are light, airy, and easily work as a delicate wrap on a breezy night. 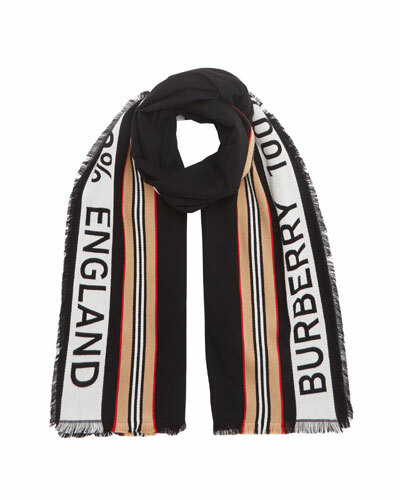 Burberry wool scarves are just as light and easy to style, but add warmth on chillier days. 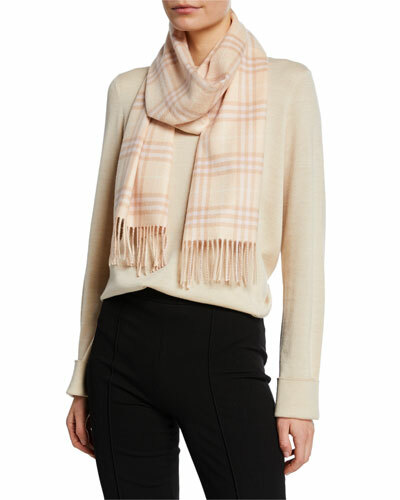 Burberry cashmere scarves are the height of luxury and the perfect accent to both casual and dressy looks. Finely woven and printed, Burberry scarves are made from the softest, most exquisite fibers in the world: cashmere, silk, and wool. The iconic Burberry check pattern can be found throughout the brand’s elegant scarf collection, sometimes used as a subtle backdrop against other alluring prints; the effect adds depth and interest to the recognizable Burberry motif. Every scarf is imbued in rich color combinations, and many of the traditional check scarves are gender neutral. Details, such as frayed edges, fringe, and tassels, add a graceful touch. 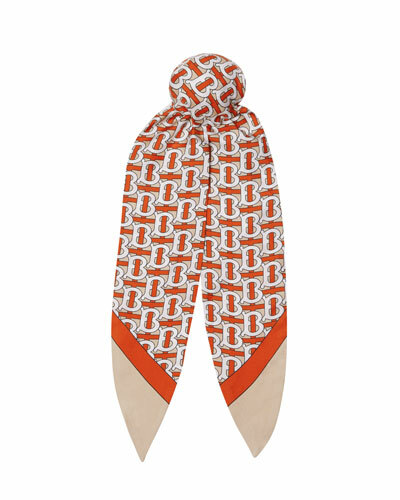 Today’s scarves are often worn in place of traditional necklaces, and even on spring days with sleeveless tops and shorts. See just how versatile and eye-catching a scarf can be; visit Neiman Marcus for our full line of beautifully rendered Burberry scarves. 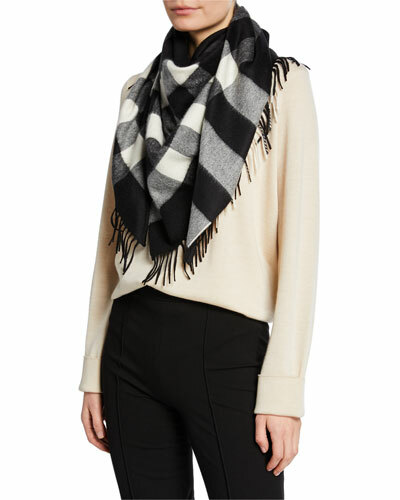 Burberry oversized hooded scarf in Scottish-woven check. Approx. 78.7" x 17.7" (200 x 45cm). Fringing at both ends. Merino wool/cashmere. Burberry oversized hooded scarf in Scottish-woven check. Approx. 78.7" x 17.7" (200 x 45cm). Fringing at both ends. Merino wool/cashmere. Specialist dry clean. Made in United Kingdom. 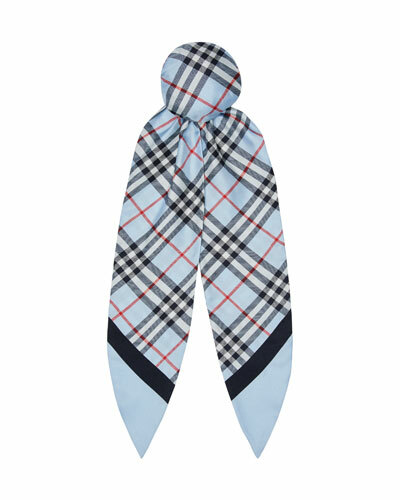 Burberry kids' washed check scarf. Eyelash fringe finish. Wool/cashmere. Made in United Kingdom. 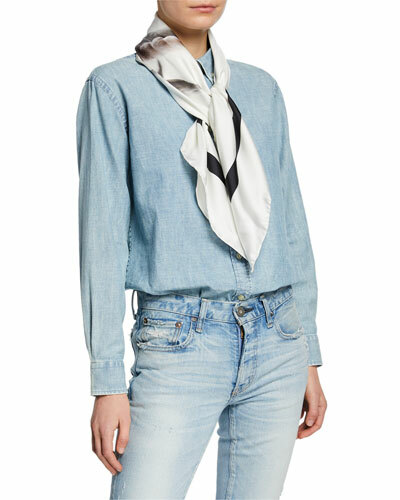 Faded jeans in stretch denim by Burberry. Five-pocket style; logo patch at back. Adjustable tabs for room-to-grow fit. Light whiskering at front. Fitted through skinny legs. Cotton/polyester/spandex. Imported.